#AyushmannKhurrana graced the unveiling of #MansWorldMagazine latest edition featuring the actor himself. 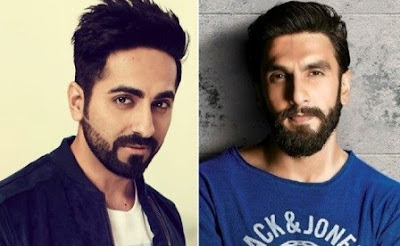 During his media interaction, Ayushmann expressed that #RanveerSingh wears his energy all the time. After 'Bareilly Ki Barfi', Ayushmann Khurrana is paired with “Dangal” girl Sanya Malhotra for Badhaai Ho, helmed by Amit Sharma. The actor is also shooting for Shoot the Piano Player, which is an upcoming thriller film directed by Sriram Raghavan.